It is a documentary that inspired a very unique and personal multimedia dance project, but the film itself is a relatively straight forward work of oral history. When dancer Wen Hui returned to her father’s ancestral village in search of her roots, she found more than she expected. 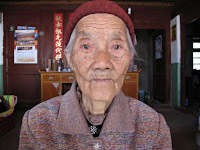 Her name is Su Mei Lin and she is Wen’s great aunt, or “third grandmother.” Her experiences pre- and post-Maoist collectivization are often harrowing, but she survived to tell her tale in Wen’s Listening to Third Grandmother’s Stories, which screens as part of Cinema on the Edge, a retrospective tribute to the Beijing Independent Film Festival now playing in New York at Anthology Film Archives. Su Mei Lin lived through challenging times, even before the so-called “liberation.” A child bride at age twelve, she was at least allowed a few years to mature before she and her considerably older husband started their family. However, she would divorce her faithless spouse at the tender age of twenty, even though such legal action was nearly unheard of at the time. Unfortunately, she was still living amid his family, who had the unfortunate distinction of being “landowners” at a time of state-sponsored insanity. In some ways, Su Mei Lin’s story serves as a corrective to the residue of Maoist propaganda that summons up images of feudal landlords grinding the peasants under their economic boots. Yet, as Wen’s grandmother explains, their family had little money, because they had scrimped and saved to buy their considerable land holdings. Instead of reaping the benefits of their sacrifice, they were branded exploiters, stripped of every last stitch of their possessions, and in some cases, forced to undergo self-criticism sessions. Still, Su Mei Lin endured. While it is sometimes difficult to revisit the past, the satisfaction of sharing with her previously unknown “granddaughter” is obviously rewarding for her. In fact, it is rather nice to watch their rapport together. We can also see the seeds of Wen’s choreography for a subsequent performance piece based on the documentary in the ways she stages poses with her great aunt. 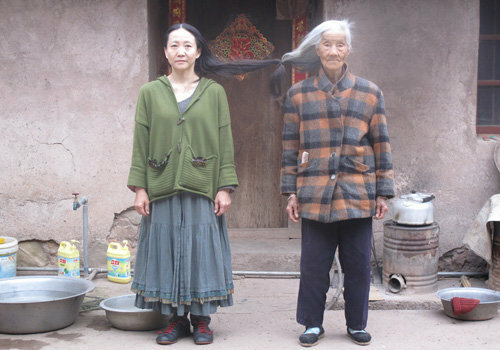 Sometimes it is a little eccentric, as when she ties their hair together, but the older woman is a good sport. 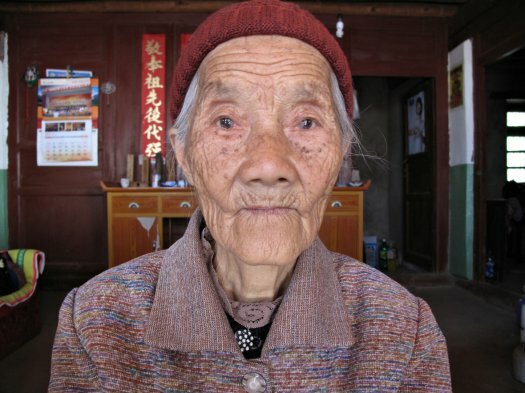 Third Grandmother directly compares to Wang Bing’s Fengming: a Chinese Memoir, but Su Mei Lin’s story is maybe slightly less harrowing. Wen’s aesthetic approach is also less severe and far more manageable at a concise seventy-five minute. Yet, she still finds ways to periodically open up film so it can breathe. It is a vitally important story to document, but it is still quite pleasant to watch the quiet joy of the two women exploring their connection. Recommended as a readily accessible personal history of the Great Leap Forward, Listening to Third Grandmother’s Stories screens with Female Directors this Sunday (8/9) and Wednesday (8/12) as part of Cinema on the Edge at Anthology Film Archives.